Eyes Down for The Irish Open! Yes, Good Friday is here, and that means only one thing in Dublin – if you are a poker player! 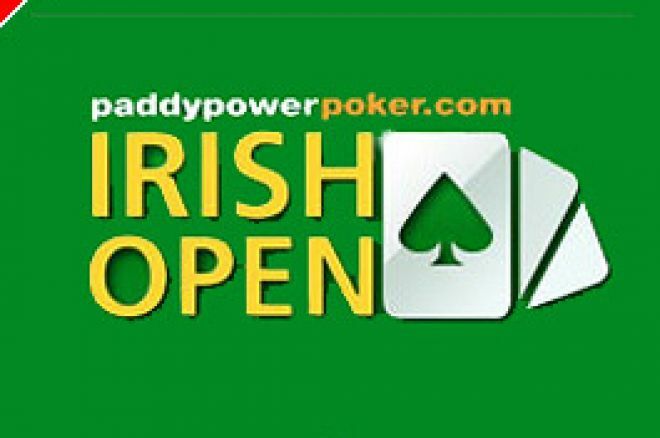 The Paddy Power Poker Irish Open starts today, with a power-packed field attracted to the Emerald Isle by the smell of €2,000,000 of crisp banknotes. Of course, a fair proportion of the field won't have come far at all. The Irish love a gamble and there are limitless numbers prepared to stake the €5,000 and change to get a seat, ideally next to Jennifer Tilly. They will hope Phil "Unibomber" Laak isn't also next to them as he may have a word to say. Also here is Antonio "The Magician" Esfandiari from the States. Anyone who saw his performance in the William Hill Grand Prix Final on TV recently will know this is a player who should progress far in the Irish Open, barring bad beats. Another heavyweight that most certainly raises the profile of the Paddy Power Poker Irish Open is Mike Sexton, the WPT anchorman and a respected poker professional in his own right. With a Gold Bracelet and a long line of final tables at the WSOP, plus a $1,000,000 win in Las Vegas in 2006, players raise this man at their own risk! Other usual suspects in Dublin include the Devilfish, and the recent Irish finalist at Monte Carlo in the European Poker Tour, Andrew Black, who should be generating plenty of support and noise, and that's before the crowd gets involved! We will all know Andrew Black is here, one of poker's entertainers. In a similar vein, we also have Irish veteran and former Ladbrokes Poker Million winner Donnacha O'Dea in attendance. Quieter but no less dangerous. Scandinavian EPT winners will be present in abundance, hoping for a Euro windfall. Included in their ranks are Andreas Hoivold and Mats Iremark. Also here is regular Party Poker TV tournament winner, and commentator, Ian Fraser. The Hendon Mob and plenty more will be dropping over from the UK so we can certainly look forward to an exciting Irish Open. If it's peace and quiet you want, best to head out of Dublin this Easter!